With the economy undergoing significant ups and downs over the past few years, fewer people are buying new cars and existing cars are coming into repair shops more frequently. According to one estimate from Sageworks, a financial information company, privately held auto repair and maintenance shops posted 1.7 percent sales growth in 2013 and projections have it continuing to rise. In order to be ready for demand, many shops are adding more square footage, more staff and more technology. 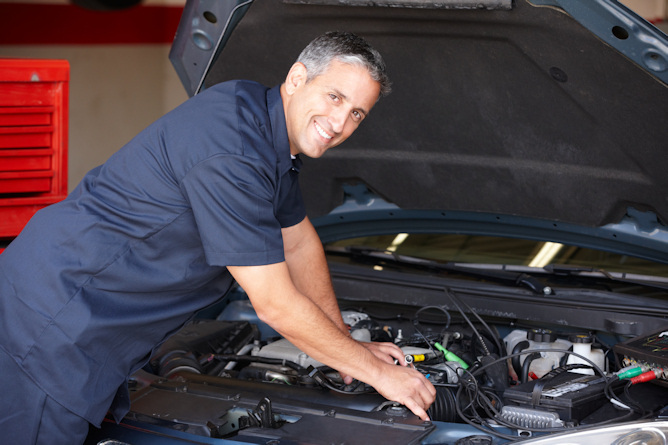 Whether you need cash for your car repair shop, your auto body shop or even your auto lube center, getting funding is important and that is where Silver Rock Funding can help. Our network of lenders at Silver Rock Funding can help get your business up to $500,000 within 72 hours even a bad credit business loan. While credit is tight in personal and commercial lending from banks, our network of lenders is able to help great businesses that deserve expansion. One of the most popular forms of financing offered through Silver Rock Funding is a merchant cash advance where you pay back your loan through a portion of your daily credit card receipts. This process gives small businesses like auto repair shops the cash they need while not draining their savings. Your dedicated funding manager will work with you to explain all of the options your business has for funding. Additionally, the rates on terms of loans will differ depending on your needs and your personal financial situation. Most merchants can get approved for their request after submitting 6 months of bank statements, 3 months of merchant processing statements and potentially other materials. Working with Silver Rock Funding is a safe, easy and personalized process. During the entire experience, a dedicated funding manager will be with you and committed to your account the entire time. This personalized attention will give you the opportunity to work with a trained specialist who can answer any questions or concerns you may have. Your funding manager is interested in helping your automotive business grow and becoming a resource you can count on in the future. Let Silver Rock Funding get you the financing you need and the personal touch you demand. Get started on getting the cash you deserve today through Silver Rock Funding. Silver Rock Funding is dedicated to automotive business loans and recently published an article on this exact industry and detailing how these business can thrive in the current marketplace.